While growing up, seeing bands I liked once or twice a month and attending festivals seemed like an essential part of life. Sure that was feasible at 16 when I had nothing else to do with babysitting money, but attending that many shows and festivals becomes increasingly hard as I widen and diversify my music taste and take on more financial responsibility. As a college student, it’s often hard to decide if attending festivals is really worth the next month of penny-pinching. However, I think Austin City Limits this year is totally worth it. Although I’ve had fun at the festival in the past two years I’ve attended, the festival the few years before that still often felt like it was trying to live up to a reputation it had built for itself in the early years of a festival with a unique lineup and relaxed atmosphere. The lineups usually had one or two headliners with big festival-sized performances, and a few smaller names that really caught the interest of regular festival goers. This worked well for a few years, but as ACL grew so did the prices, and with lineups consisting of bands who frequently toured Austin, it was often easier to see the smaller bands on their solo tours than to drop the money for a festival ticket. In a staunch contrast to the past few years of lineups that were homogenous with most other major festivals, ACL this year felt fresh, performance-driven, and overall, felt like the revival of an Austin music tradition that had almost diminished. Father John Misty, Friday October 5th, 2018. This year's early October festivities held a special place in my heart because the artists on the lineup felt unique, some of them with only a few American tour dates. Some of my favorites included the Talking Heads' David Byrne, who delivered a killer choreographed and politically motivated performance, the always intense Father John Misty, and a riveting, two and a half hour performance by the incredible and unmatched Paul McCartney on Friday. My Saturday favorites were Blood Orange, who swept the crowd with impassioned saxophone solos, and St. Vincent, whose outfits and graphics create a big-show atmosphere, even for people who may not be familiar with her songs. Justice, a phenomenal French electronic band (with only two American tour dates! ), closed out the night with their brand of rock-disco and a sensational light show. Sunday rounded off the weekend with stunning performances from Janelle Monáe, Phoenix (who unfortunately only played weekend one), and Arctic Monkeys, always a festival standout. 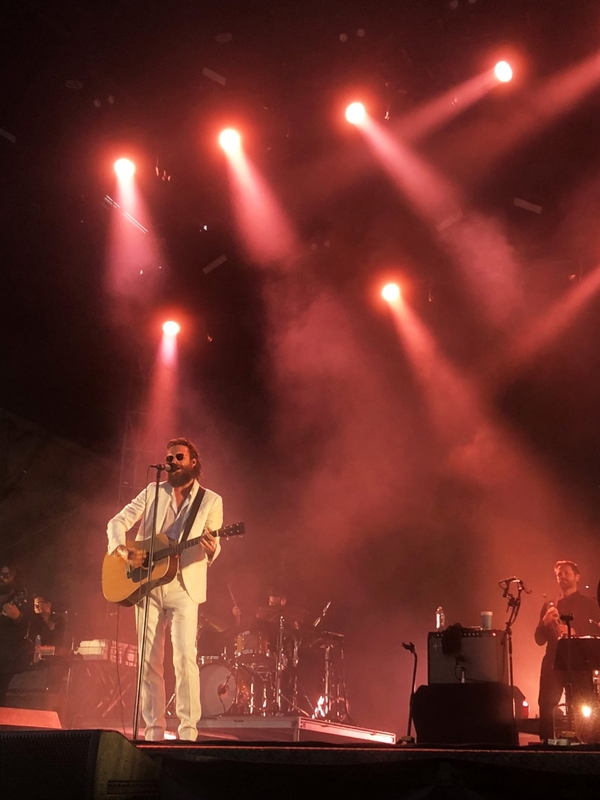 Other than a few scheduling complaints, (two of my favorites, Father John Misty and Brockhampton, were on at the exact same time), ACL managed to cater to a wide variety of tastes with acts that really created audience-involved performances. The first weekend felt like a return to an appreciation of the power of music on the masses rather than forced performances designed to satisfy a music festival “experience.” Hopefully weekend two will keep with weekend one’s momentum and provide another three days of fresh performances worth the large crowd typical of the festival.